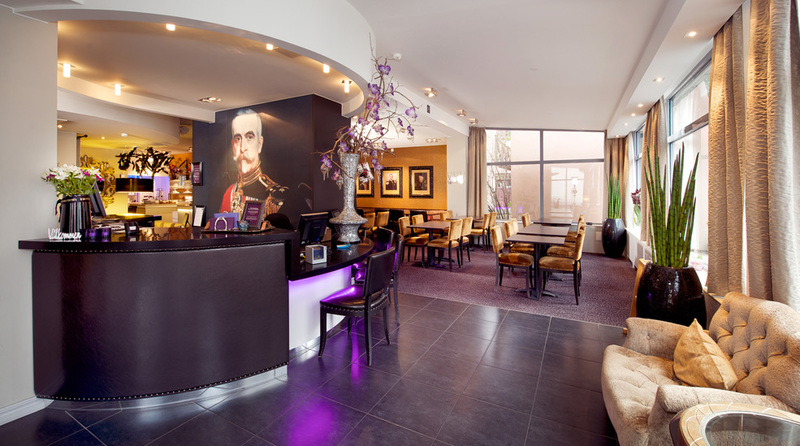 The Clarion Collection Hotel Majoren in central Skövde is a gem of a hotel with a wonderful history, and parts of the building date back to the last century. Breakfast, Afternoon Sweets and Tonight's Special are included. This is a cash-free hotel. The Clarion Collection Hotel Majoren enjoys a traditional and classic setting, partially housed in an old socialite villa from the last century. You'll stay in the heart of culturally rich, historic Skövde. The hotel is characterised by the city's long military history, with its four regiments. The Clarion Collection Hotel Majoren is located in central Skövde, just across the road from the bus and train station. From here, the city's selection of shopping and restaurants, as well as the Commerce shopping centre, are just a few hundred metres away. Skövde's main attractions such as the Culture House and Waterpark Arena Skövde are also within walking distance. We serve a delicious buffet breakfast every morning and this is of course included in the price of your room. All our guests can also enjoy our daily Afternoon Sweets, as well as our Evening Meal. Read more about this under Services. The hotel also has a lobby bar where you can enjoy a glass of your favourite tipple! All the rooms at Clarion Collection Hotel Majoren have been named after army majors that have been in one of Skövde's regiments. Paintings and photos of the city's many majors adorn the walls. Among them the most famous, Carl Wilhelm Ericson, who lived a dramatic life. Among other things, he was involved in a campaign against Mexico in the mid-19th century, when he came across some bandits and was left to die on the spot. Skövde has a thriving golf scene. You can choose from two nearby golf courses: Skövde Golf Club and Billingen Golf Club. We offer golf packages with the green fees included. The Clarion Collection Hotel Majoren is cash-free, which ensures added security for our guests and visitors. More information about this can be found under FAQs. We recommend Taxi Skövde, phone +46 500 41 65 00.